In a representation made to the Bar Council of Tamil Nadu and Puducherry, 800 lawyers have requested suspension, expressing solidarity with the ongoing protests against Madras High Court’s new sets of disciplinary rules for the Advocates. The new rules enable the Court to debar lawyers who indulge in objectionable behavior. The lawyers, led by Senior Counsel R. Vaigai, further demanded that suspension orders passed against 176 Advocates since 2015 be revoked, and the five lawyers arrested for participating in Monday’s protests be released. Bail applications moved by the five lawyers were dismissed by the VII Metropolitan Magistrate on Wednesday. An appeal filed before the Principal Sessions Court, Chennai was also dismissed by District Session Judge Jaichandran. 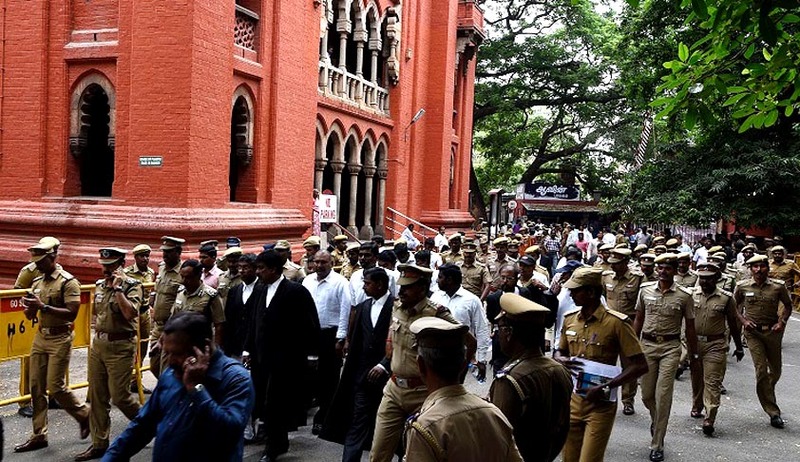 The representation was preceded by an Extra General Body meeting convened on Wednesday, wherein the Madras High Court Advocates’ Association demanded that no criminal action be initiated against the lawyers who participated in the “peaceful agitation” on July 25, and that the arrested lawyers be released. It further resolved that all suspension orders and disciplinary proceedings passed by the BCI and the State Bar Council during 2015-16 be withdrawn unconditionally. The Association has also demanded that all pending FIRs against the Advocates be withdrawn by the Government of Tamil Nadu.